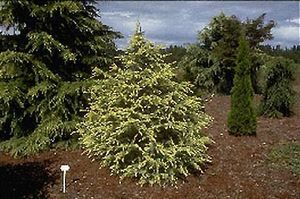 This slow growing selection has creamy white new growth. Full sun. Zone 6, but protect from cold winds, especially when young.